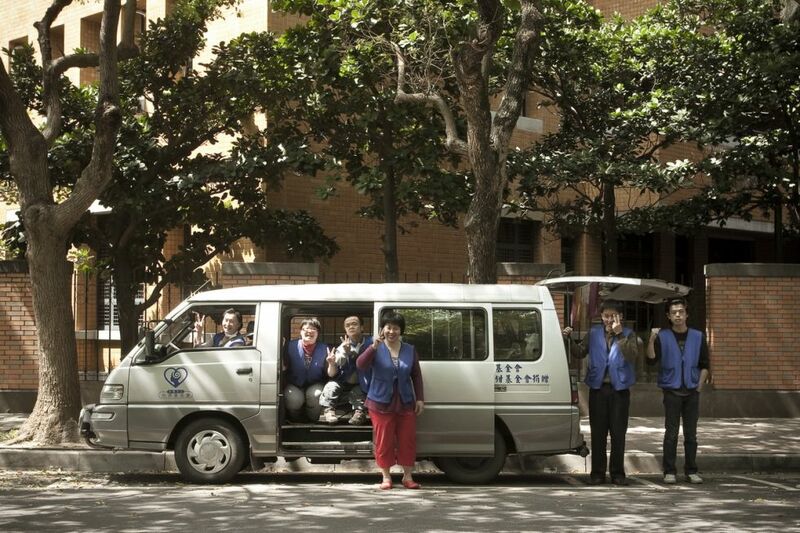 Syin-Lu Social Welfare foundation assist people with intellectual disabilities that are dependent, requires multiple and long-term support to have a steady job. 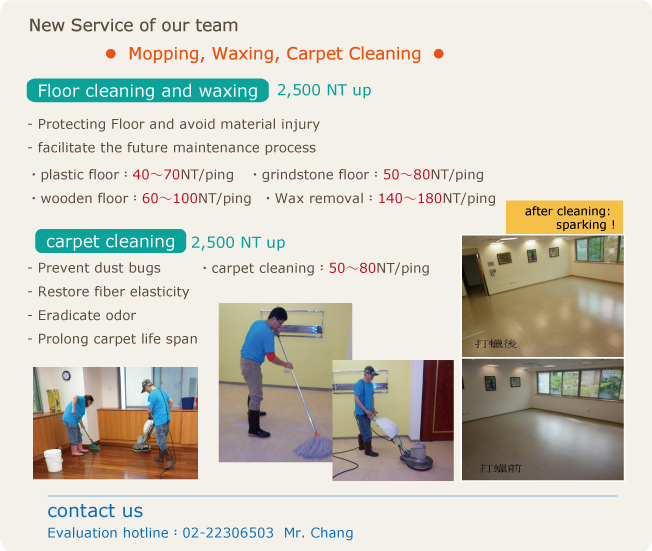 Since 1995, we started to pilot a work-oriented "Syin-Lu Cleaning Service." 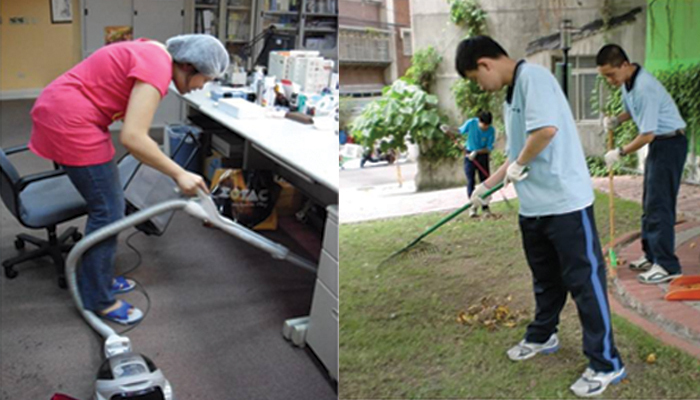 In 2008, with the revision of related laws by the government, "Syin-Lu Cleaning Team" completed its registration as a sheltered workshop in Taipei. It is currently able to accommodate 21 people with intellectual disabilities, enabling them to have a job with a steady income. "Syin-lu Cleaning Team" works mainly on the Commercial cleaning, domestic cleaning, large furniture and object removing and cleaning; different from other cleaning companies and at the same time enabling them to do what they can and compensate each other's shortcomings, our teams are consisted of 4 to 7 people, and can usually dispatched 3 to 4 teams to work at the same time throughout Taipei area. 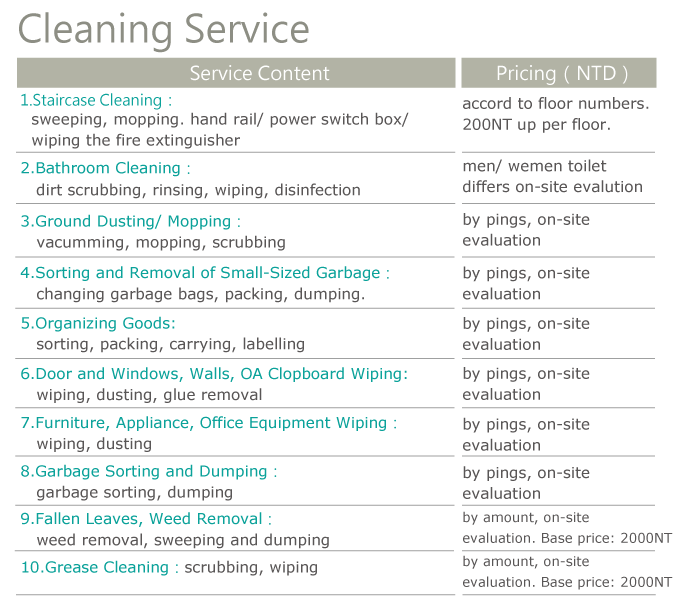 "Syin-lu Cleaning Team" provide the same service quality as other cleaning companies under the guidance of emplyment counselors. They earn what they deserve with their own hard work; they are hard working and deserve the name of "urban ant workers."